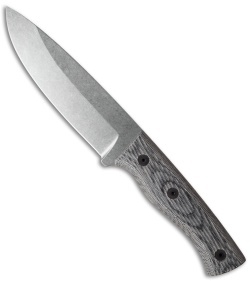 Fiddleback Forge has created a line of production knives based on several of their most popular models. 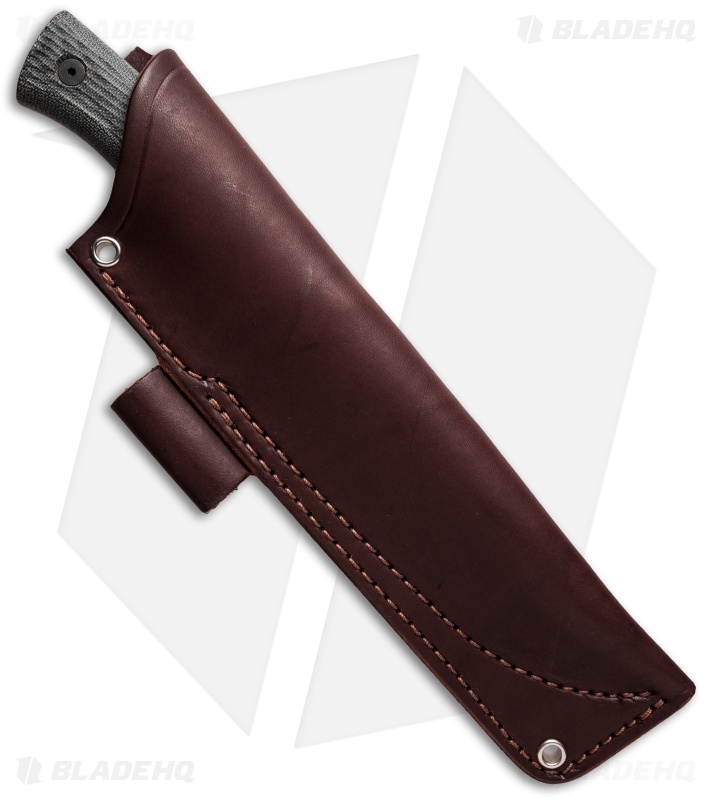 This model, the Duke, is a larger fixed blade with a general-purpose drop point blade. It has a stonewashed CPM-S35VN stainless steel blade and is outfitted with diagonally grooved black canvas Micarta scales. Includes a premium leather sheath.